Terrell, Texas, USA — Conecsus, LLC, welcomes Annette Pirro as the new Customer Service and Administrative Assistant for Thomas Mitchell, North American Business Manager. 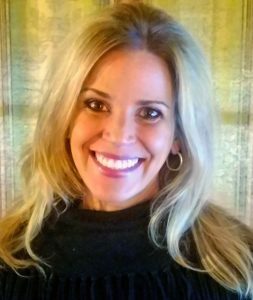 Annette brings many years of experience in both sales and administrative work to her new position, making her a valuable addition to the Conecsus team. Annette has lived and worked for most of her life in Altoona, Pennsylvania. She is a distinguished 2004 graduate of Penn State University where she earned a Bachelor of Science degree in Elementary Education, and a Minor in Psychology. From 2004-2010, she taught elementary grades 4,5,and 6, for the Altoona Area School District. During this time, she also earned her Master of Education Degree from Saint Francis University. In 2010, Annette became the Assistant/Co-Director of Time to Succeed, one of the area’s largest child-care facilities. Founded in 1980, Conecsus, LLC is a sophisticated ‘green’ recycler and refiner of SMT solder/solder paste wastes and residues, as well as Tin, Tin-Zinc, Lead, Silver, Gold, and Copper from a variety of manufacturing industries. Located in Terrell, Texas, USA, Conecsus converts these wastes into usable metal products. Conecsus’ mission is to provide innovative and high-quality industrial byproducts management, metal recovery, and recycling options that provide world-class value and service to our customers, and display respect and stewardship toward the environment. For more information, visit www.conecsusllc.com.